Seeing instrumental surf rock band Daikaiju is like stepping into a monster movie. 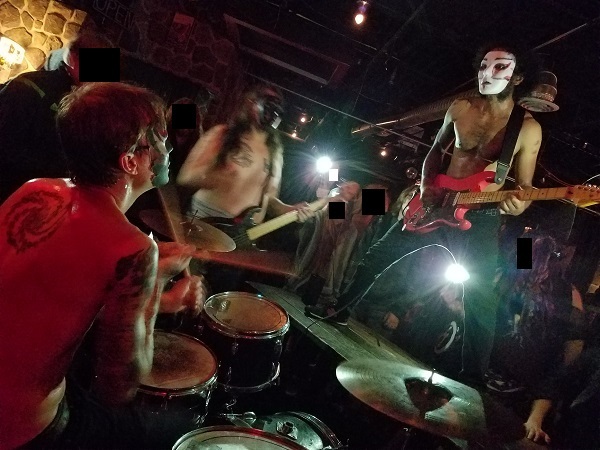 Their fully interactive “attacks” on a venue, ripe for a 360-degree virtual reality music video, invite their audiences to participate in antics like hoisting their drum kit in the air during a performance. These antics would mean nothing if their music suffered to only temporarily ignite the audience’s interest. Fortunately, their antics serve as accurate visual footnotes to their energetic live performances! WANNA SEE PREMIUM ACTION HEROES DISPLAY VALOR BY CONQUERING MEDIOCRITY? CLICK HERE TO KEEP ON READING!